This goes to Stefanie (Hefe und Mehr) and Zorra (1x umrühren bitte), who will, I hope, agree with me that a yeasted cake qualifies as a sweet bread for the purposes of BreadBakingDay #22. 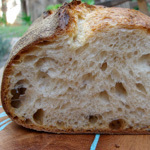 It also goes to Nick (imafoodblog), who is graciously hosting YeastSpotting for me this week. Replace the mixer paddle with a dough hook. In medium speed, gradually add the sugar in 5 or 6 increments, mixing for about two minutes between each addition. Continue mixing in medium speed until the dough starts to come together around the hook. Change back to the mixer paddle. Add the olive oil and mix in low speed until it is incorporated. This will take a while. Press the dough into a disc and into an oiled 10-inch springform pan. Press the plum slices into the dough. Before baking, sprinkle the cake with rosemary and sugar. Bake at 400F for 10 minutes, then reduce the heat to 350F and bake for another 30 minutes or so, until the cake is golden brown and the plums are releasing their juice. Cool on a wire rack in the pan for 10 minutes, then release the pan and continue to cool. The cake sounds really great! I like the idea to use rosemary in a sweet cake! A yeasted cake is qualified as a sweet bread for sure (I like cake for breakfast 😉 )! I love that kind of yeasted cake! Yours looks delicious and I love that fantastic combination of flavors! Yummmy, are you bringing me any? The cake looks yummy. 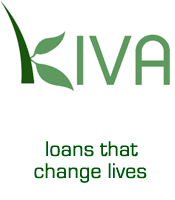 Nice idea. Gorgeous cake! Enjoy your vacation! It certainly looks & sounds delicious, Susan. Have a great vacation. This sounds wonderful! I really needed a recipe to use up frozen plums from last year and this looks perfect for a brunch dish. Very nice indeed, but even better when there are more plums! 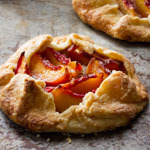 In accordance with the German tradition of Zwetschgenkuchen, try quartering the plums and pushing them down into the dough, about twice as many as you show in the pictures. 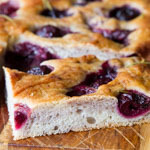 The plum juice-soaked bread is just divine! This looks wonderful, Susan! Why is that no surprise? Looks absolutely wonderful! Have a great vacation!! Gonna’ tuck this one away in anticipation of that time every summer when you just can’t find enough things to do with all those plums! Might try it with figs as well. It’s a bit early to think about using plums, but that what bookmarks are there for, right? Yeasted pie sounds quite interesting and unique. I should try the recipe. Looks too good not to. Everything I’ve ever done with plums seems a real step above what I thought it would. I’ve seen olive oil cake but never with fruit mixed in. Very good idea! Beautiful and delicious plump cake. Olive oil in this recipe is very intriguing Susan. Looks really good, does it come close a brioche with oil instead of butter? Interesting thing to try. Enjoy your holidays! Yummy! 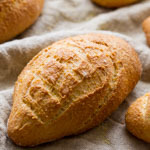 I adore olive oil in baked goods (…in anything?) and this cake looks absolutely delectable! You send me olive oil plum cake. Mmm. Looks so good. I love the idea of rosemary and lemon and olive oil with the plums. Olive oil, rosemary and plums…it reads like a bit of poetry. I can only imagine how sublime it really is. I’m just going to bookmark this; I am more than sure I’ll have a go at it in the future. Enjoy a wonderful vacation. Don’t think about nuttin…nuttin at all. Simply reach that ‘veg’ state, and enjoy the world around you. I think there’s enough in this post to tell me this yeast cakes deserves all the attention it’s getting. Its plum season here and I’m bookmarking it to try out. Excited to try this! 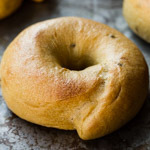 Could I use melted butter instead of olive oil? Susan, this is absolutely gorgeous. I can’t wait to try this one. Enjoy your vacation. The world will still be here when you return. I love anything cakey like this with fruit and this looks scrumptious! And it is really pretty, too. I hope you are having a great vacation! But now I want plum cake…. Lemon, rosemary, plums, yeasted–it sounds incredible! The baked plums look so pretty in the cake too. This looks beautiful, and the rosemary is intriguing! 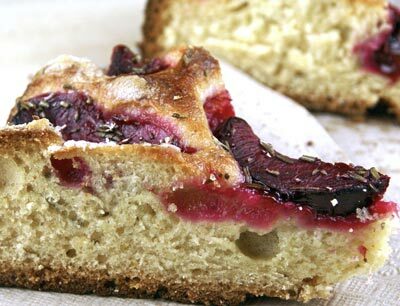 I made this cake yesterday with plums from my tree…it was good, especially the rosemary & sugar topping. Still getting used to the idea of olive oil as dessert, but adjusting. It reminds me of a pizza! But I would eat those plums over any pepperoni any day, it looks great to, love the patterned layout of the plums. Cool… I don’t believe I’ve ever seen a sweet, yeasted cake. What a novel idea! 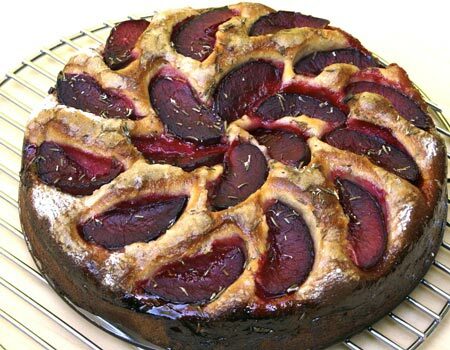 Plums are awesome to incorporate into a cake too. Where did this recipe come from? It’s very different from anything I’ve made before. And very good. I was hesitant to use the rosemary but it works perfectly with the plums. The cake isn’t exactly sweet. Not like one of those over the top coffee cakes. 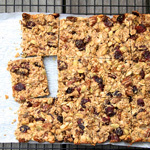 I think this recipe could be adapted for other fruits as well. 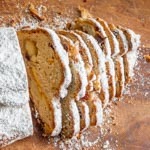 The dough could be covered with a layer of unpitted sweet cherries and the rosemary could be replaced with a small amount of bitter almond extract. Anyway, I’d love to know the origin of this one. A little spice with a little sweet, very clever. Looks great! i wanted to bake this cake tomorrow. could you help me out and tell me please what should the temperature of the milk, eggs and the olive oil be – all at room temperature because of the short proofing time? Rosi, you can take the the olive oil at room temperature, and the milk and eggs cold. The friction of the mixing will warm the dough. Just made this, following the suggestion to absolutely cover the top with the plums. It looks absolutely amazing – I can hardly wait for it to cool to try it. Thanks! I’ve made this cake and it was delicious. I substituted sourdough starter for the yeast, and cut the sugar by half, allowing the sweetness of the fruit to really shine through. This cake I’m sure would be just as awesome using grapes.